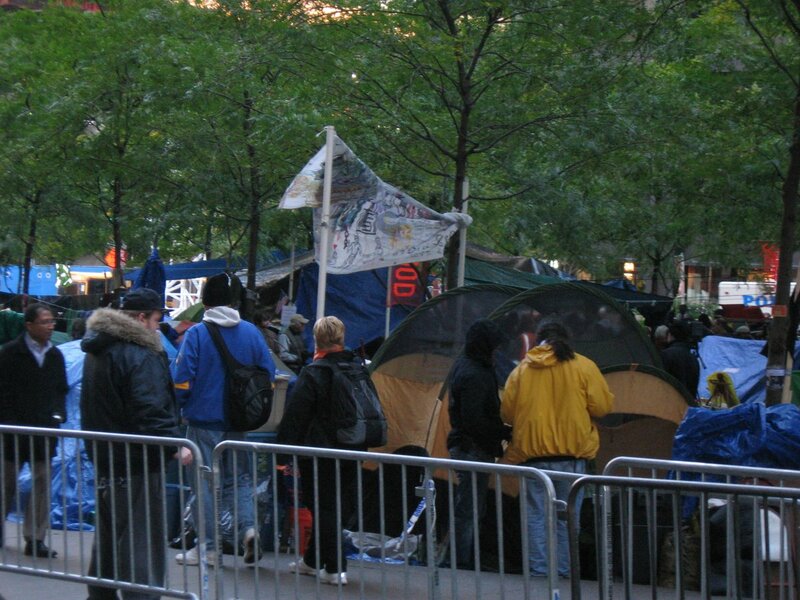 Photos of Occupy Wall Street at Zuccotti Park. Looks like a third-world tent city to me. 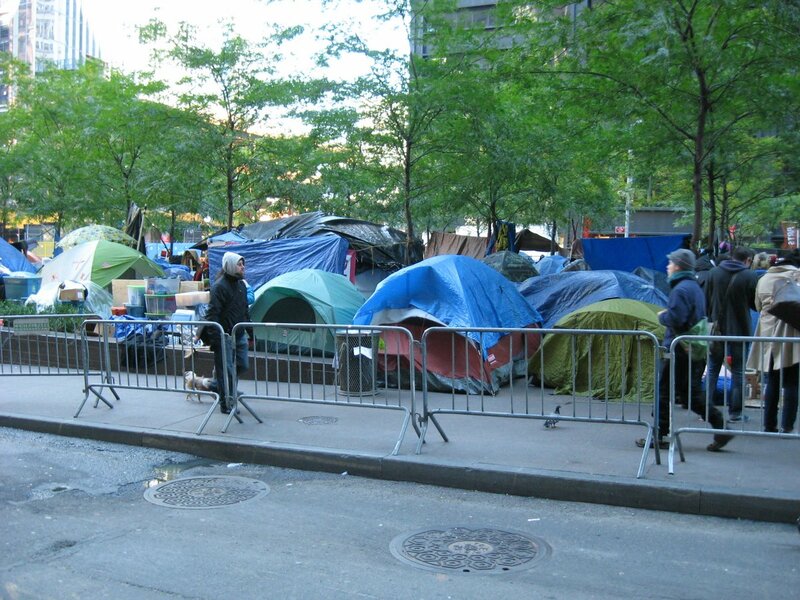 I was down at Zuccotti Park today where the Occupy Wall Street “protesters” have literally set up camp. I was shocked by what I saw. This does not appear to be some noble protest. Instead, it looked like a third-world tent city–one without privacy, running water, and sanitation–was dropped into the heart of our financial capital. Also shocking were the restrictions around Wall Street. 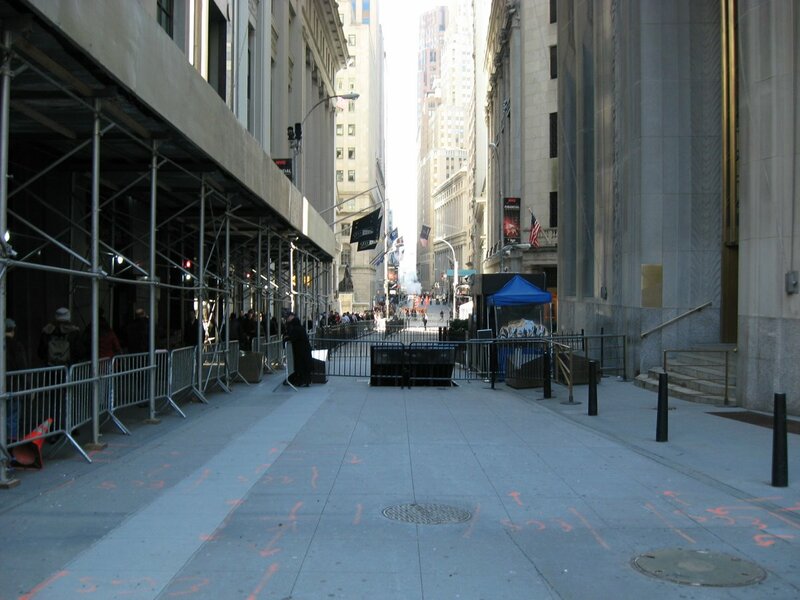 Vehicle traffic has been blocked on Wall Street and Broad Street in front of the stock exchange ever since 2001, but the barricades have recently been pushed far back for pedestrians as well, given them little space to walk. Even the famous bull at Bowling Green at the base of Broadway has been cordoned off. 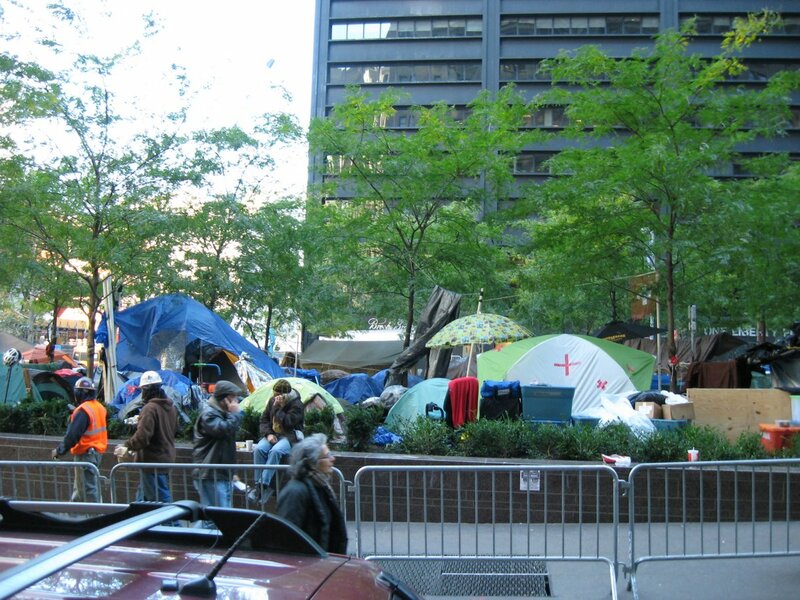 Even though Mayor Bloomberg has been sympathetic to the Occupy Wall Street protesters, he and the police are clearly worried about potential violence against these New York landmarks. The most amazing thing is that you really cannot tell what these people are protesting for or against when you walk by. 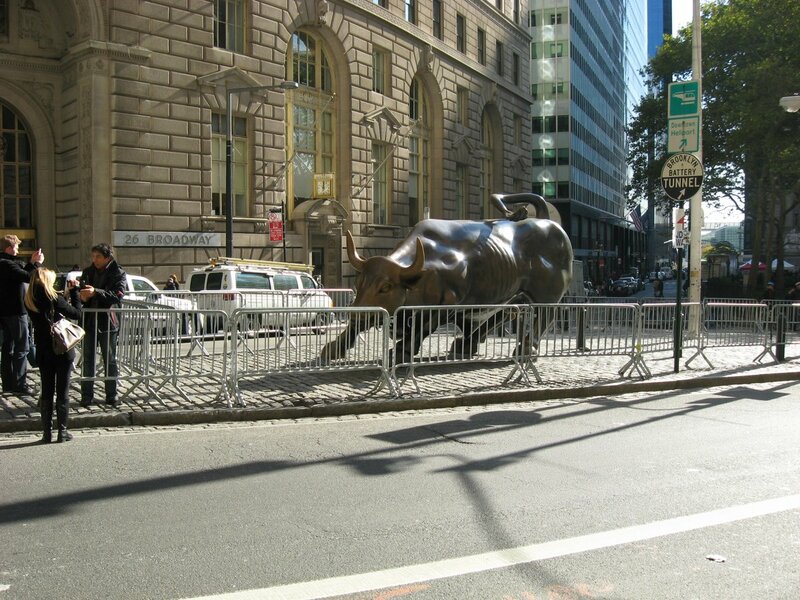 As you can see by the photos above, there were no banners or placards attacking Wall Street and no list of demands. Instead, to all appearances, it was just a lot of homeless people (whether by circumstance or by choice) who have set up camp in downtown Manhattan. 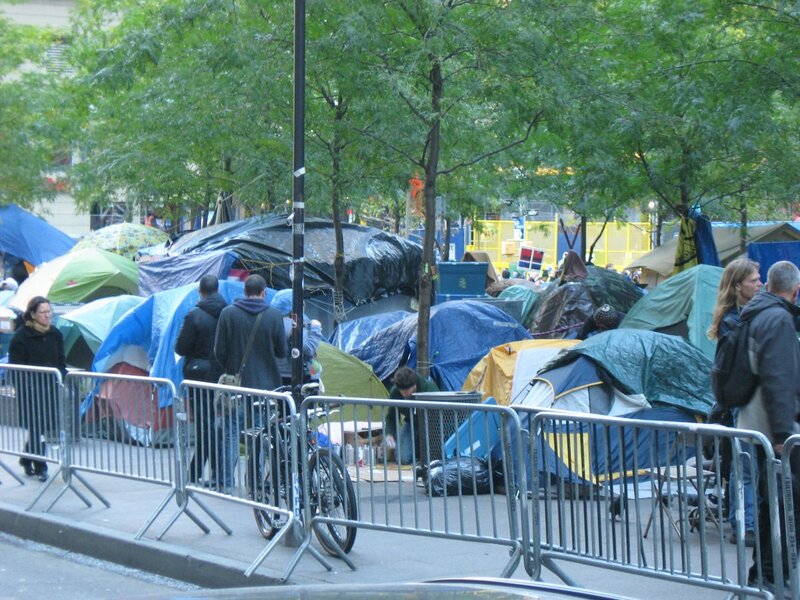 While I know from the “news” that these are noble protesters seeking to right the wrongs of the world, but it certainly looked like a lot of homeless people in tents. From the perspective of the average American, I cannot understand why anybody would care what these people believe, think, or want. It is a lot of unemployed people (again, whether by circumstance or by choice) who have completely failed in delivering their message, whatever that may be. Like their makeshift camp, the whole movement appears to be a disorganized mess that, in my humble opinion, should be cleaned up both from a standpoint of unsanitary conditions and poor political reasoning.